Spring is a time for new beginnings, so refresh your look with our romantic spring line where light as well as darker tones create a two-sided love story. Imagine a field of wildflowers right after a rain storm. 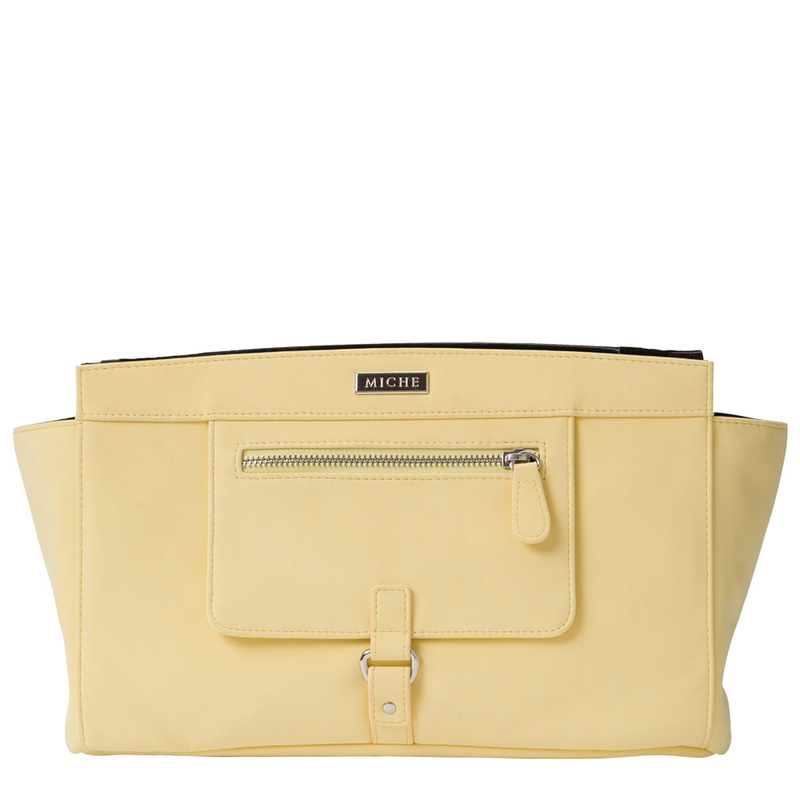 The sky is still grey, evidence of rain is still present and you'll catch a glimpse of our new colors. 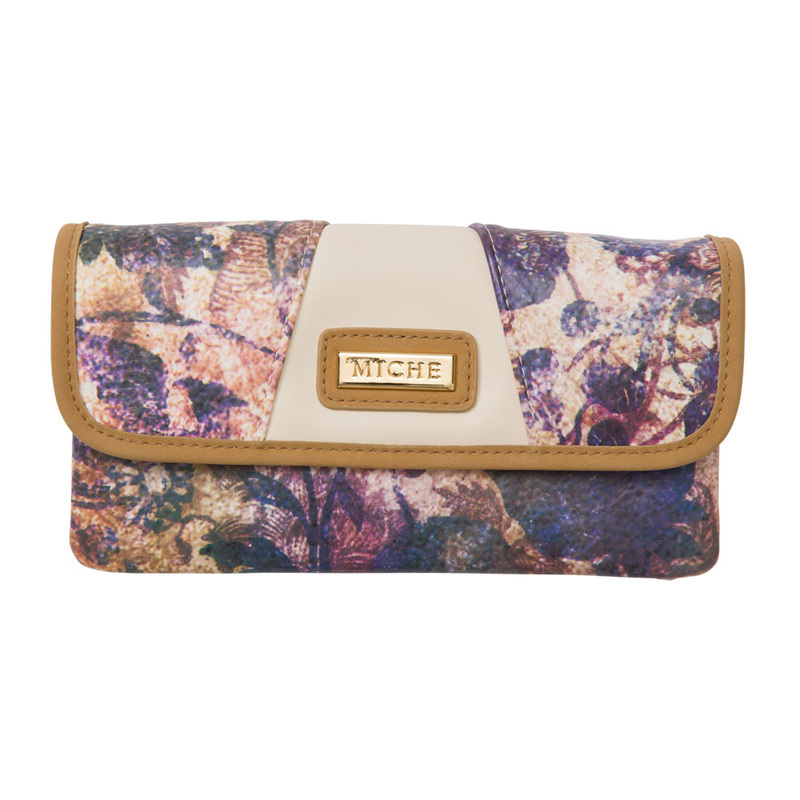 The new Spring Miche line not only tells stories, but also touches on all of spring's must-have trends. 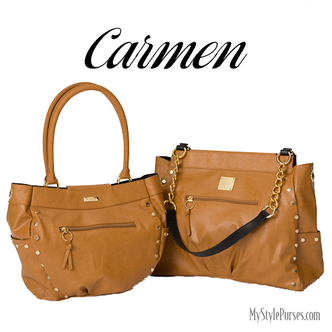 Let this new collection inspire you and perhaps even carry you away to some romantic destination. 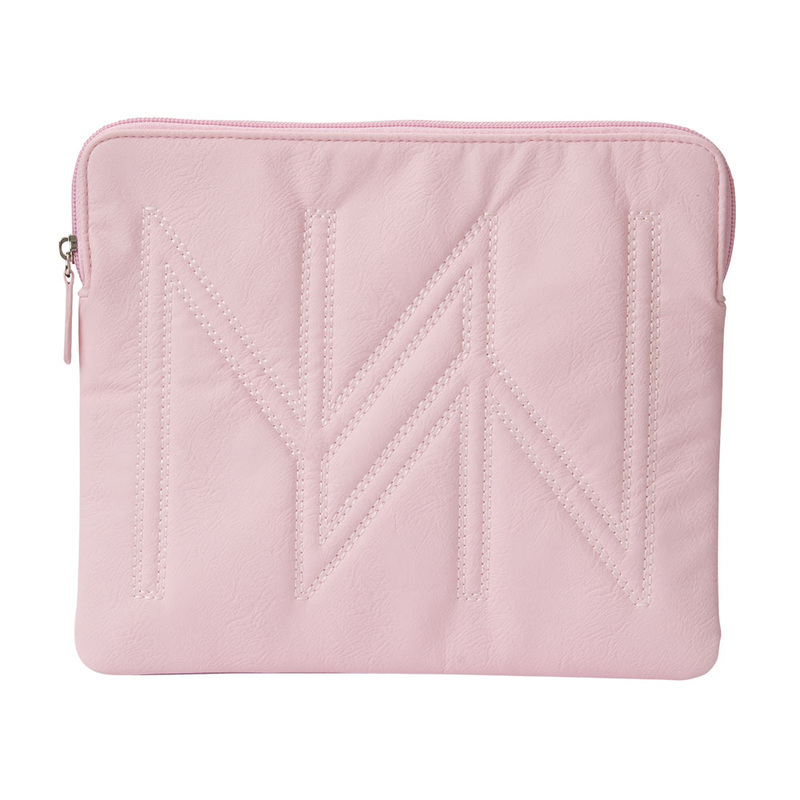 NOT ALL ITEMS ON THIS PAGE ARE STILL AVAILABLE. 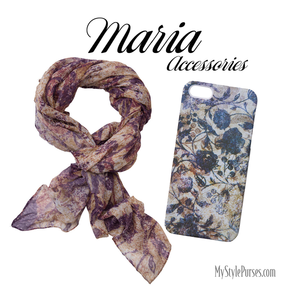 Click to shop our store. 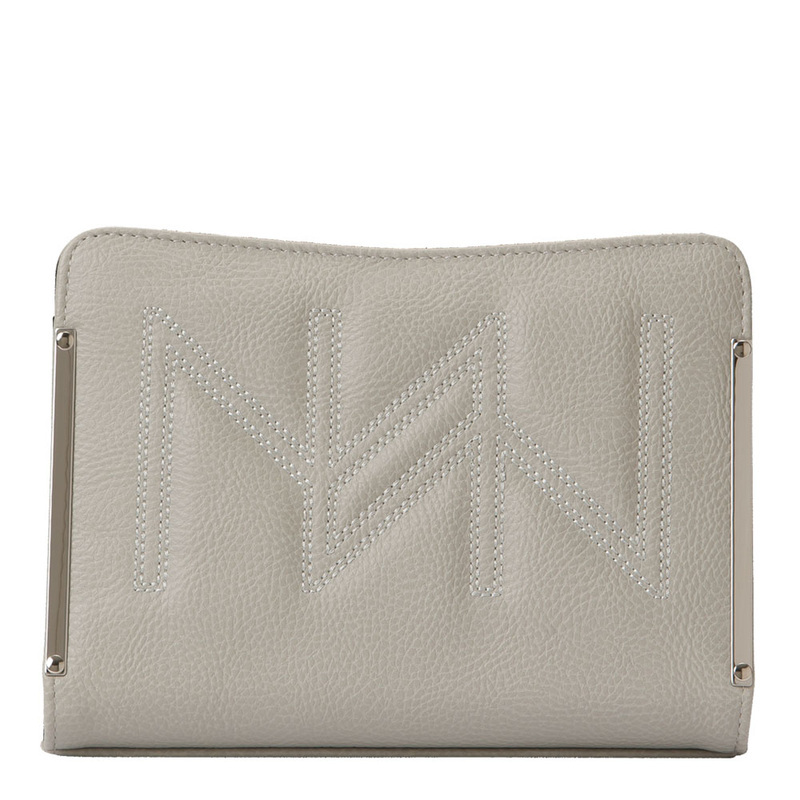 This season embraces simplicity and gets back to basics with classic neutrals. 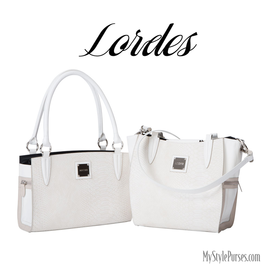 The fashion motif is free of clutter as well as sleek and sophisticated. Less is more and beauty becomes uniform. 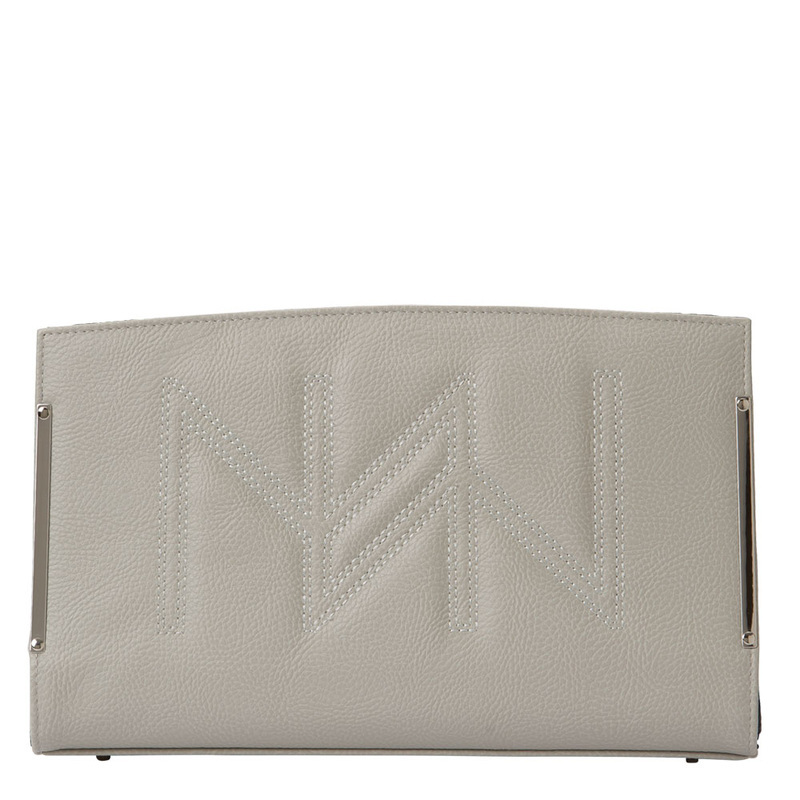 it needs no ornamentation and is perfect in its purity. Cotton-white and luxurious camel lay the foundation, while white wheat, blue and skipping-stone grey create natural highlights. 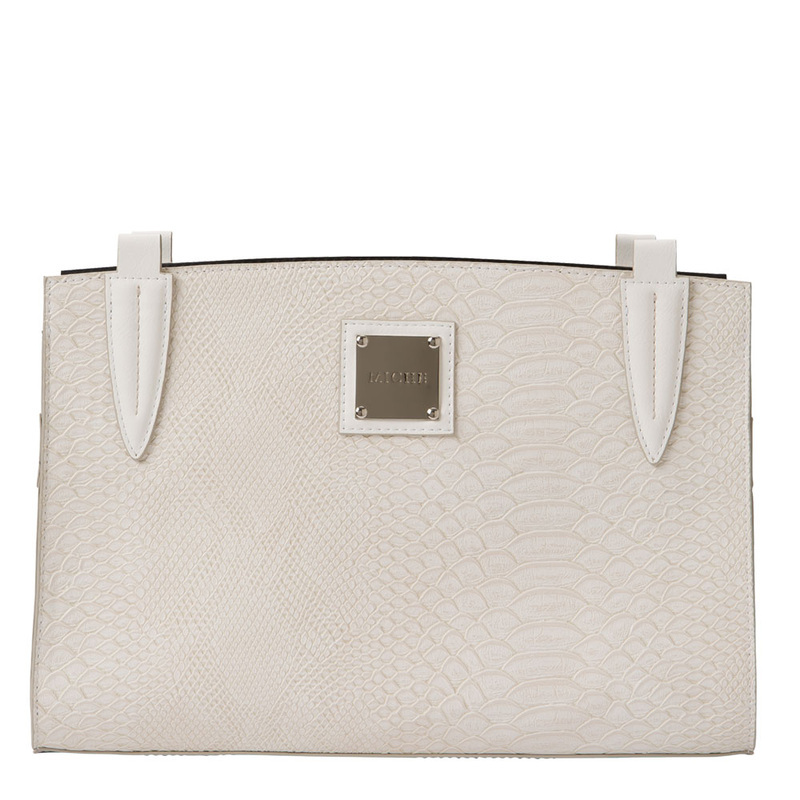 Embossed faux snake in eggshell with off-white and taupe accents, reversed seams, contrast stitching, appliqued handle tabs and silver hardware. 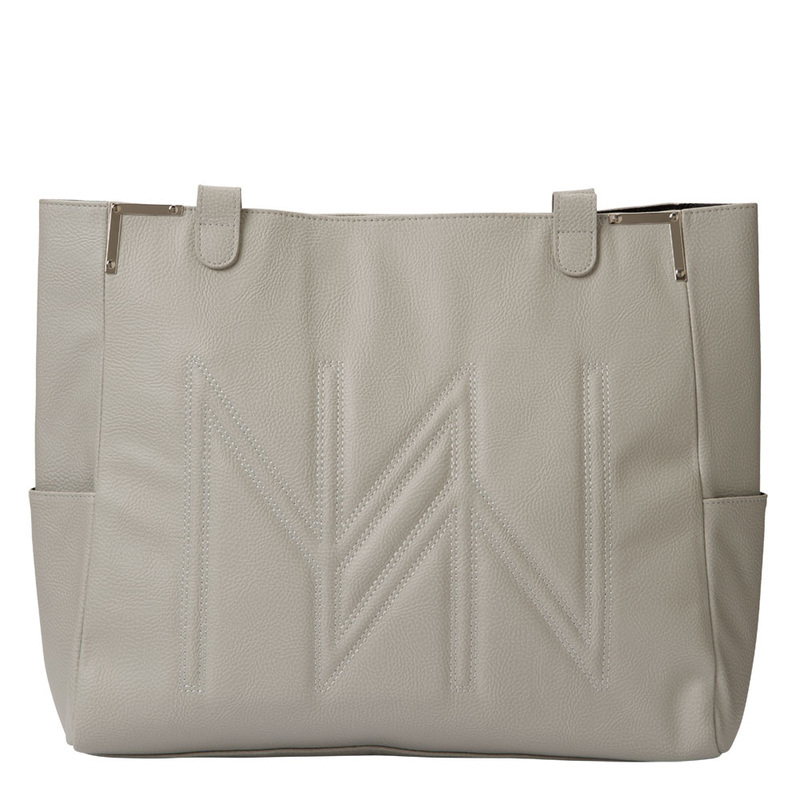 Available in Classic and Demi sizes. 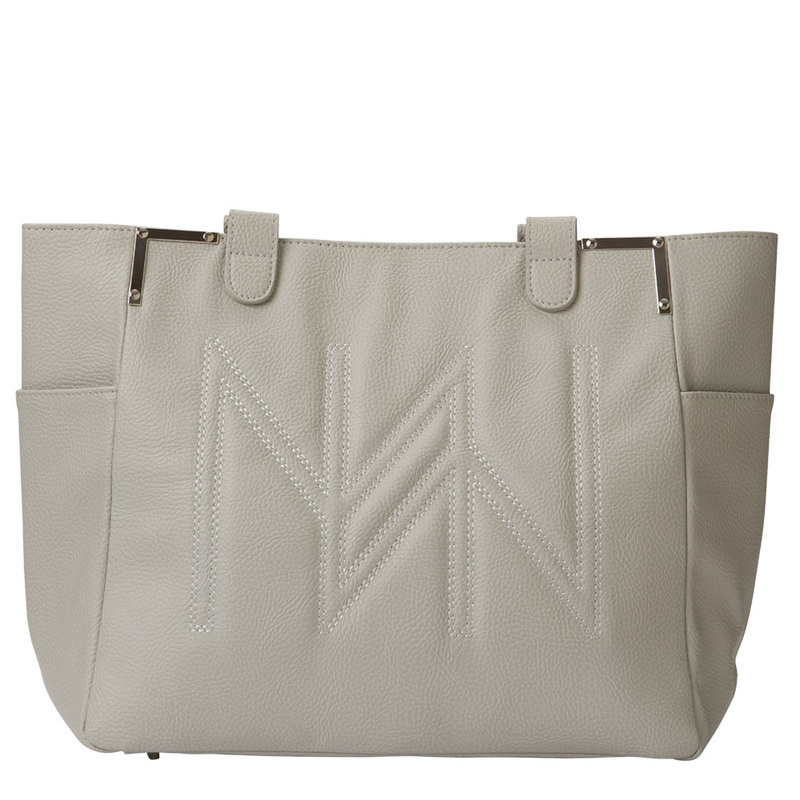 Over sized Miche monogram is quilt-stitched onto dove grey pebble textured faux leather. 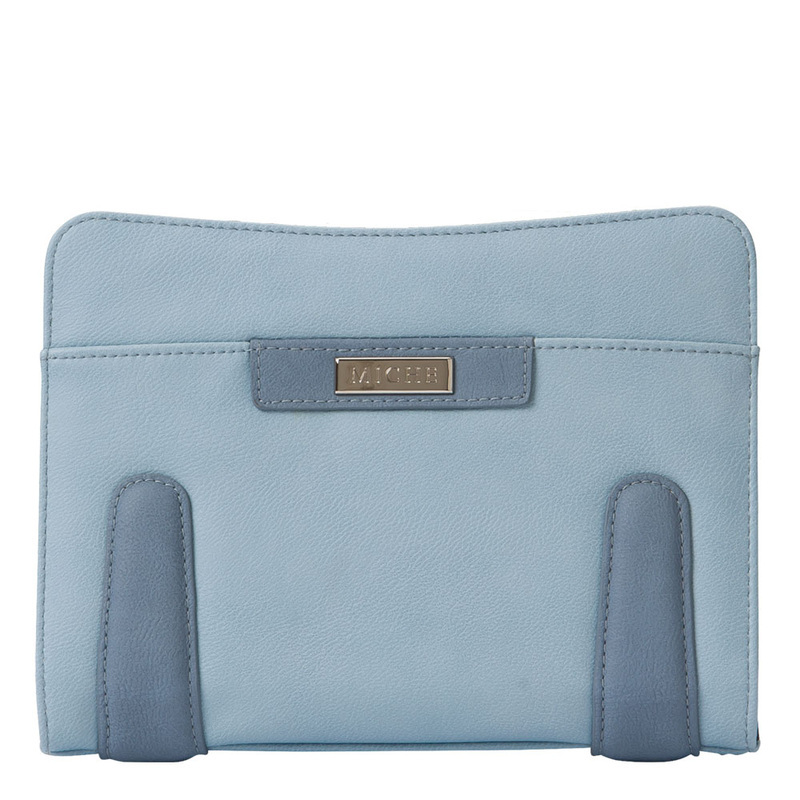 Available in Petite, Classic, Demi and Prima sizes as well as a laptop bag. 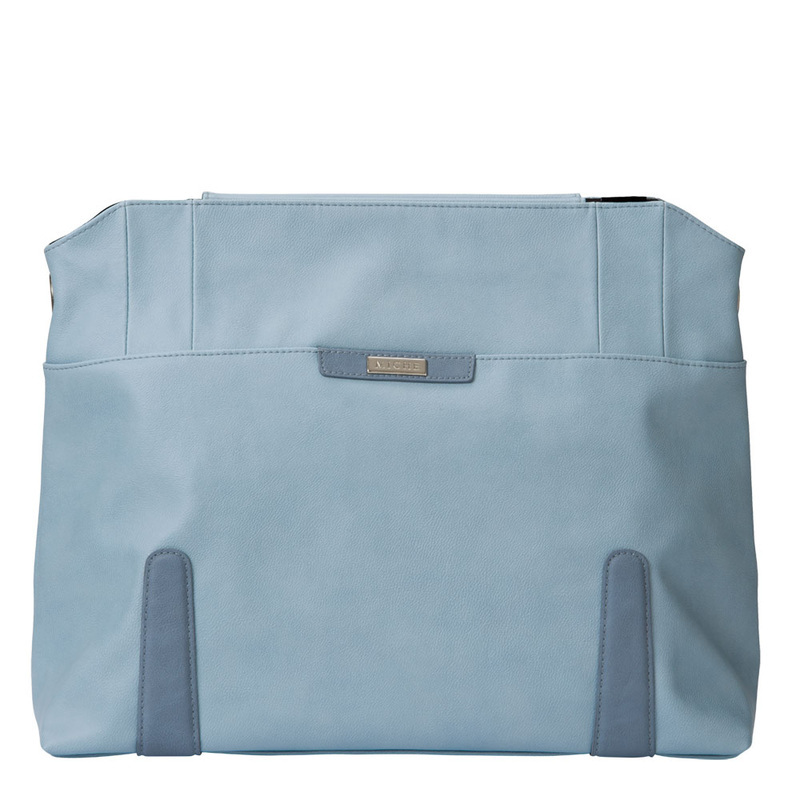 This color story is sensitive to our planet's rhythms. 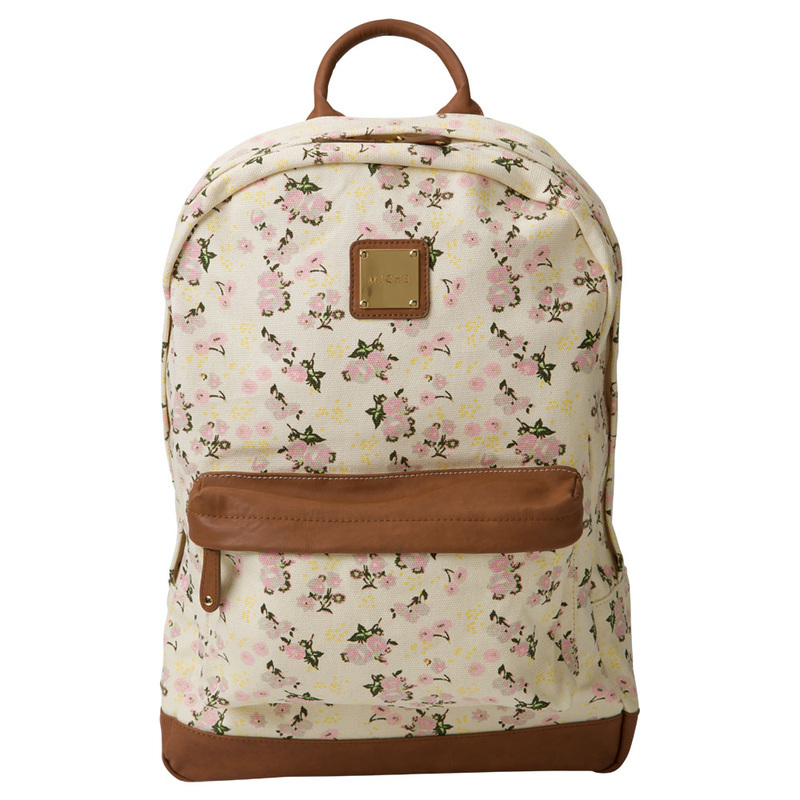 It is a a theme that wanders out into nature picking fresh flowers along the way in search of pure, untouched beauty. Mellow tones, natural blues and earthy neutrals are in perfect agreement, while primitive yellow and pure pink bring harmony to this feminine springtime palette. 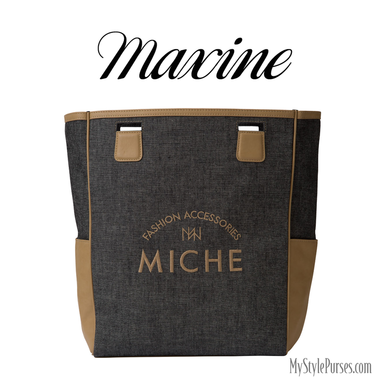 Denim fabric in charcoal black with tan faux leather trim and tan embroidered lettering. 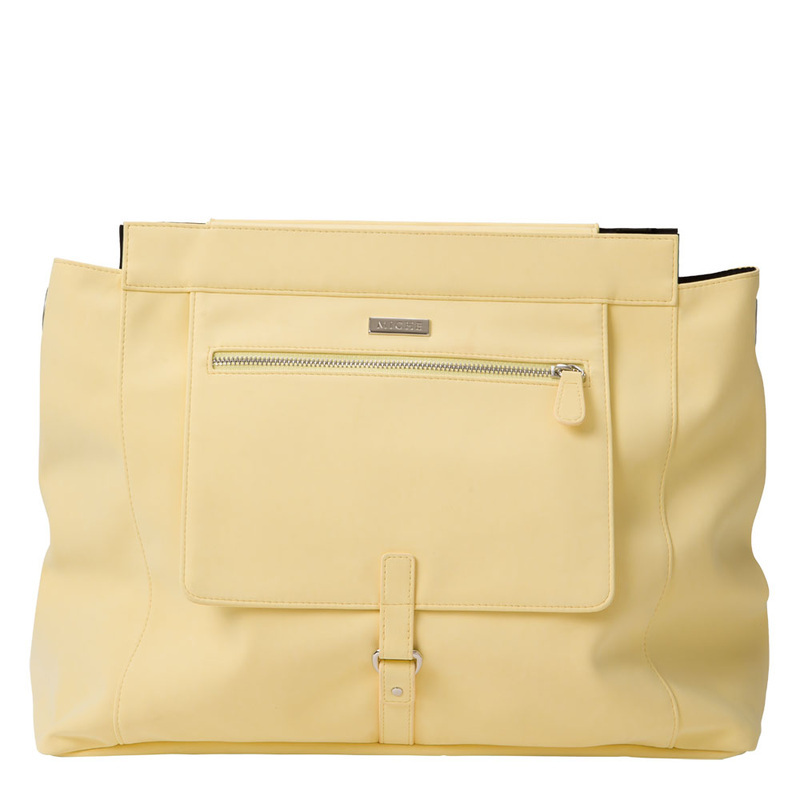 Rectangle bottom, side pockets, tote silhouette. 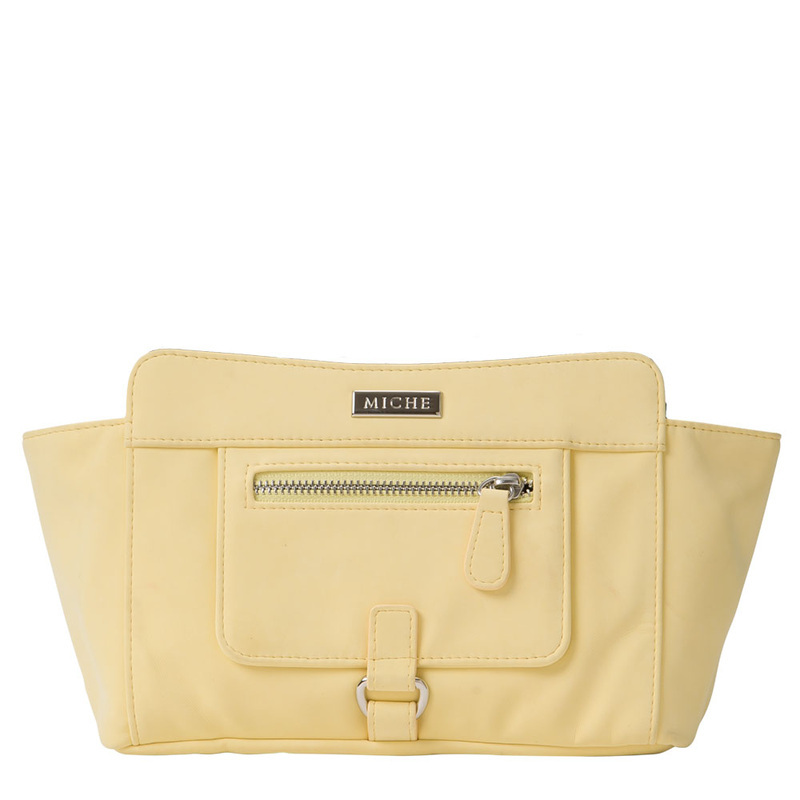 Available only in Demi size. 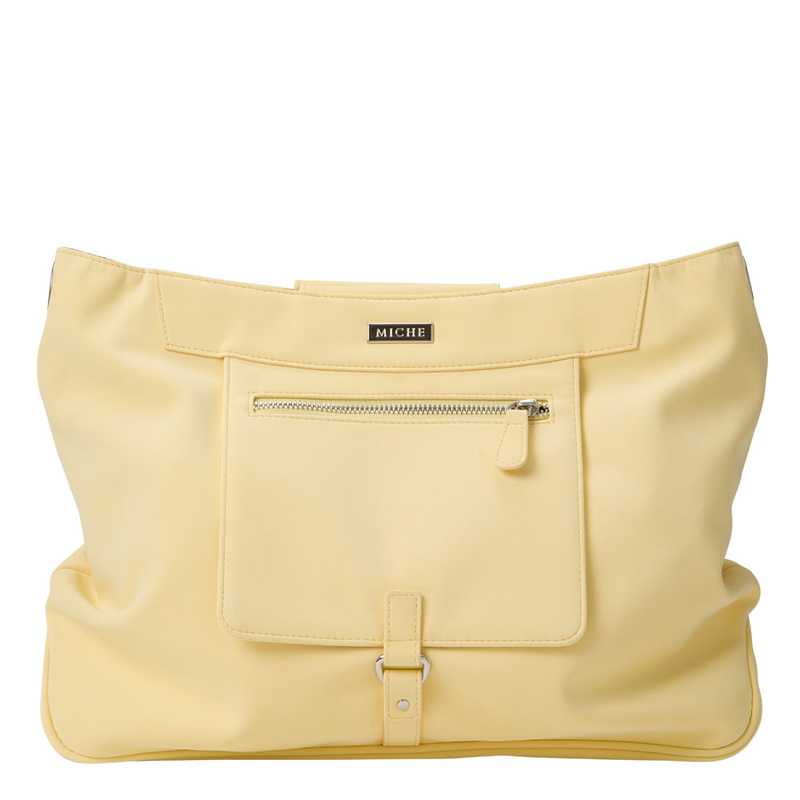 Buttery yellow in soft ultra-seude faux leather with piping details and silver hardware. 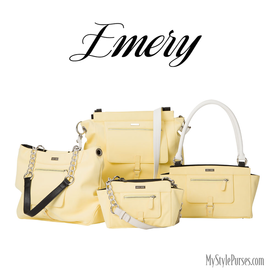 Emery is available in Petite, Classic, Demi and Prima sizes. 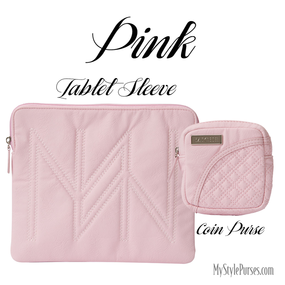 Pale pink faux leather quilted with exclusive Miche monogram and lined with yellow fabric with multi-colored design, you'll love our Tablet Sleeve and matching coin purse. 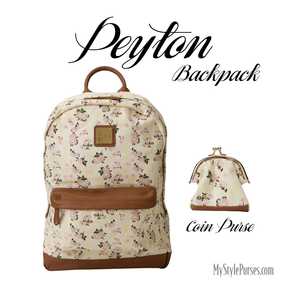 Pale yellow canvas with grey, pink, yellow and green custom floral print. 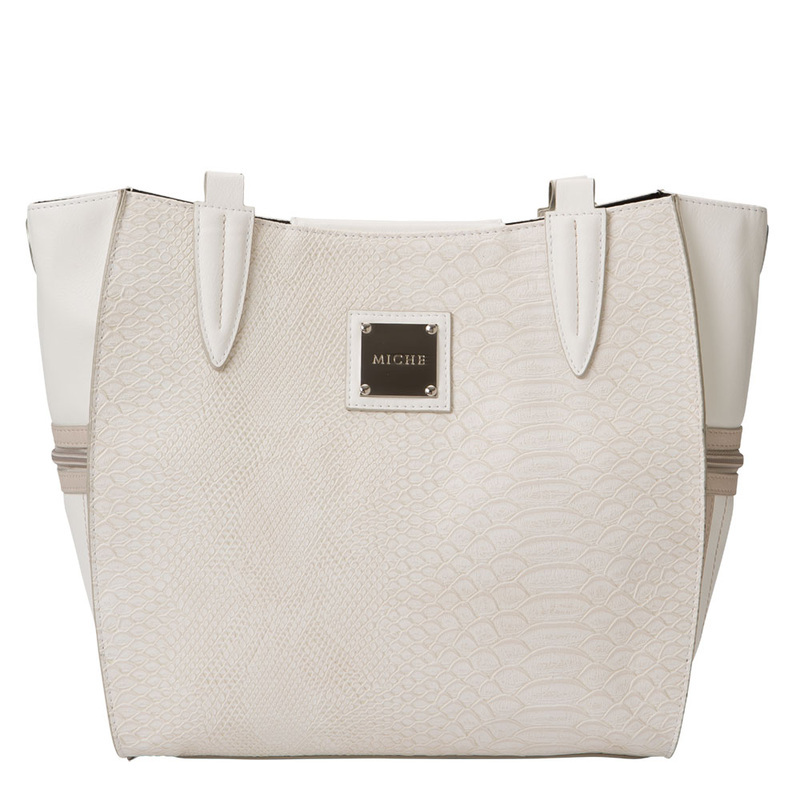 Sienna brown faux leather trim and zippered front pocket. 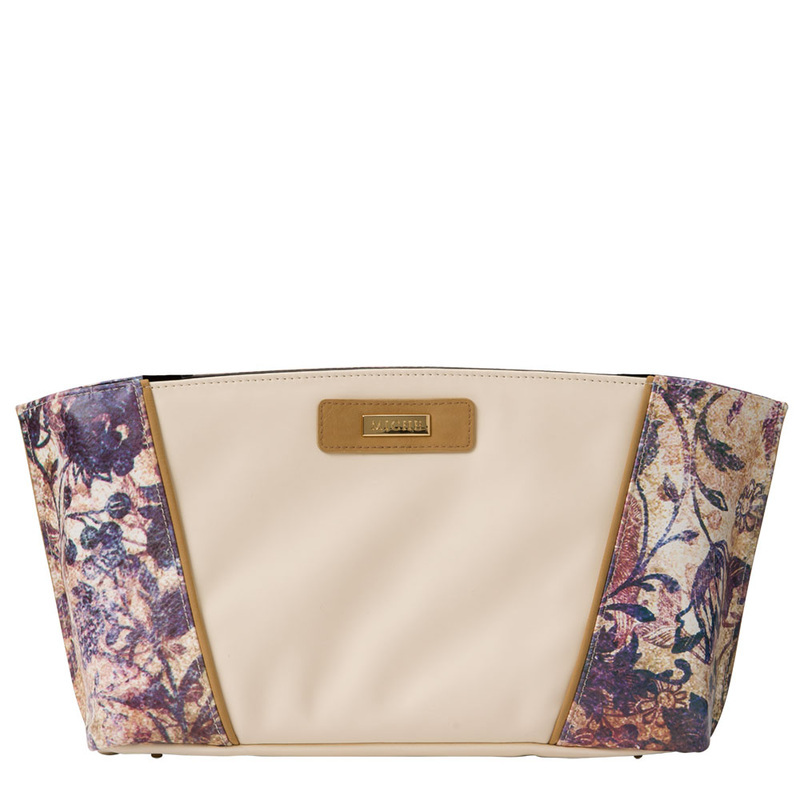 The interior is lined with pink fabric and features three compartments and two small open pockets. 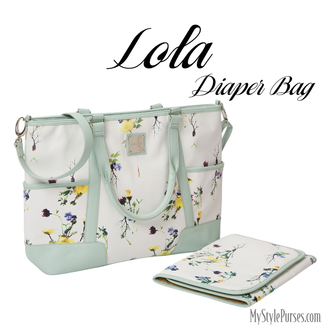 Padded straps are adjustable to 32". 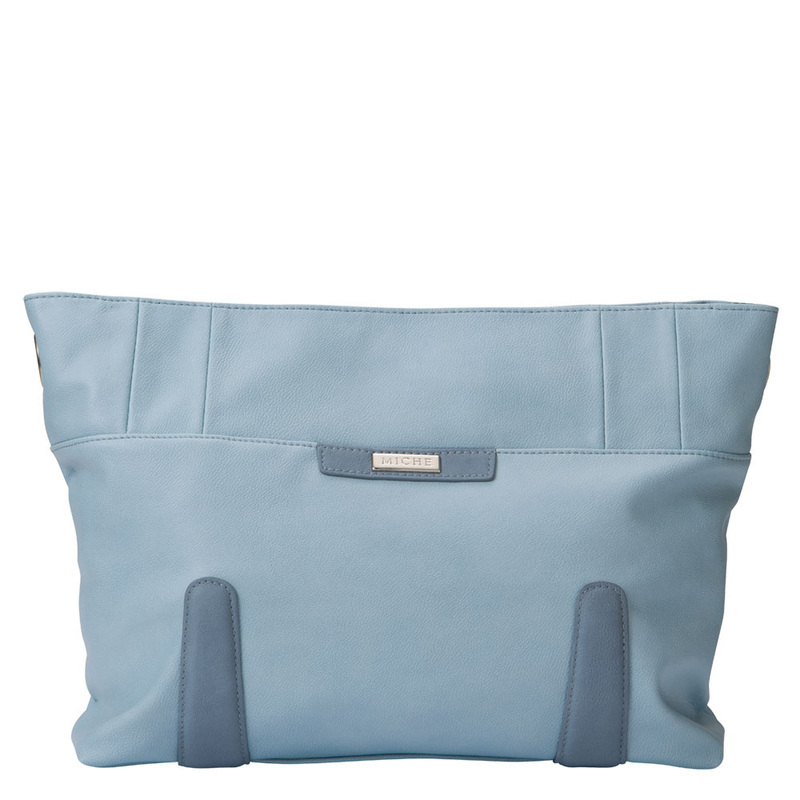 (Does not require a base bag.) 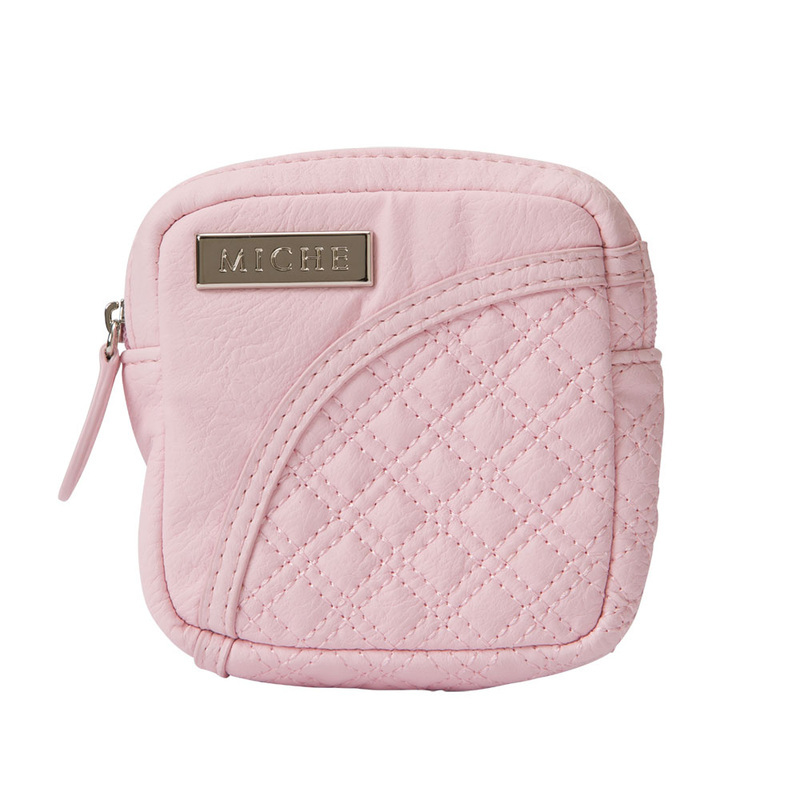 Matching coin purse also available. This dreamy color palette captures sweet memories of a time long ago. 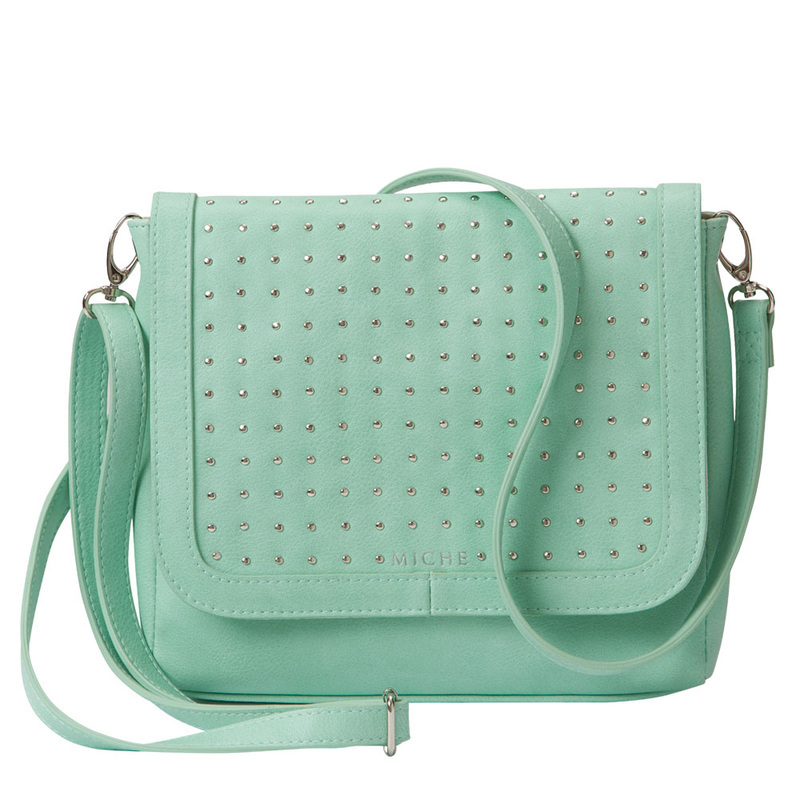 This trend is a nod to the classics, but refreshed with modern twists. 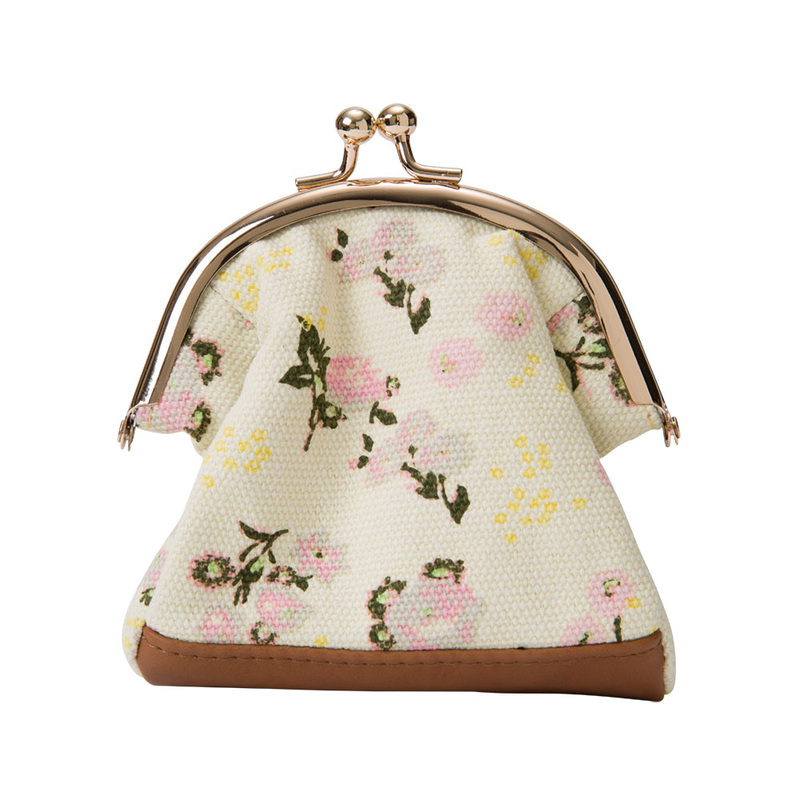 Diminished patterns and prints capture the romance of the past. Beautiful hues of blue wash with waves of purple; mineral green and sea spray blue create whimsical pools of color; and amethyst, indigo, iris and violet stir the senses. 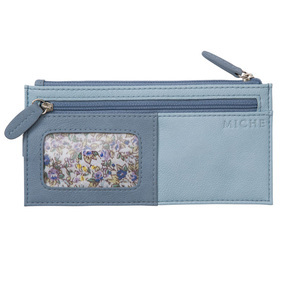 Faux leather in light forget-me-not blue with appliqued "stuffed" details in blue-grey. Silver hardware. 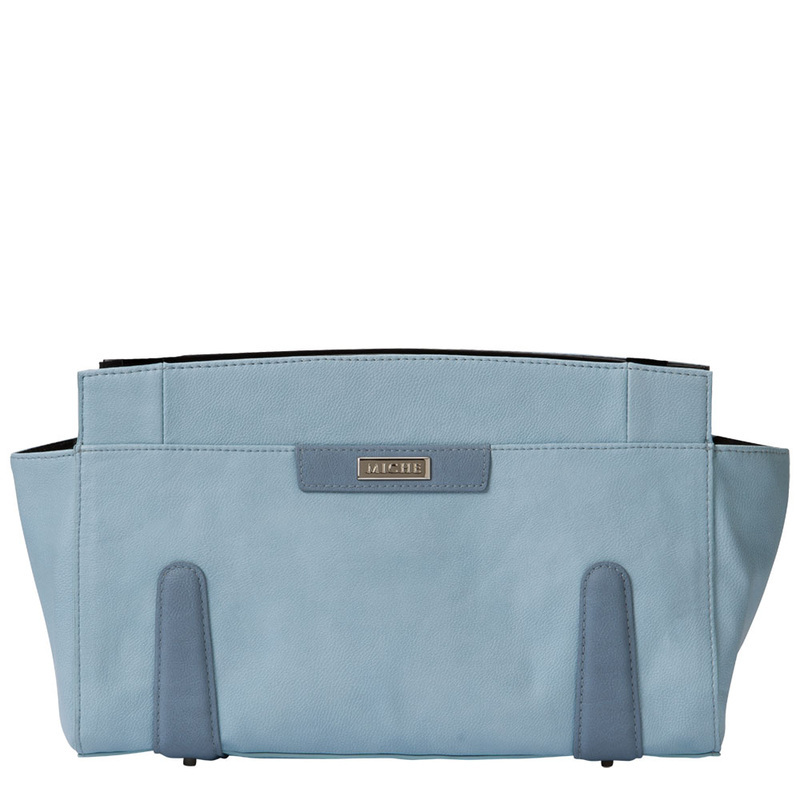 Brecken is available in Petite, Classic, Demi and Prima sizes and a matching flat wallet. 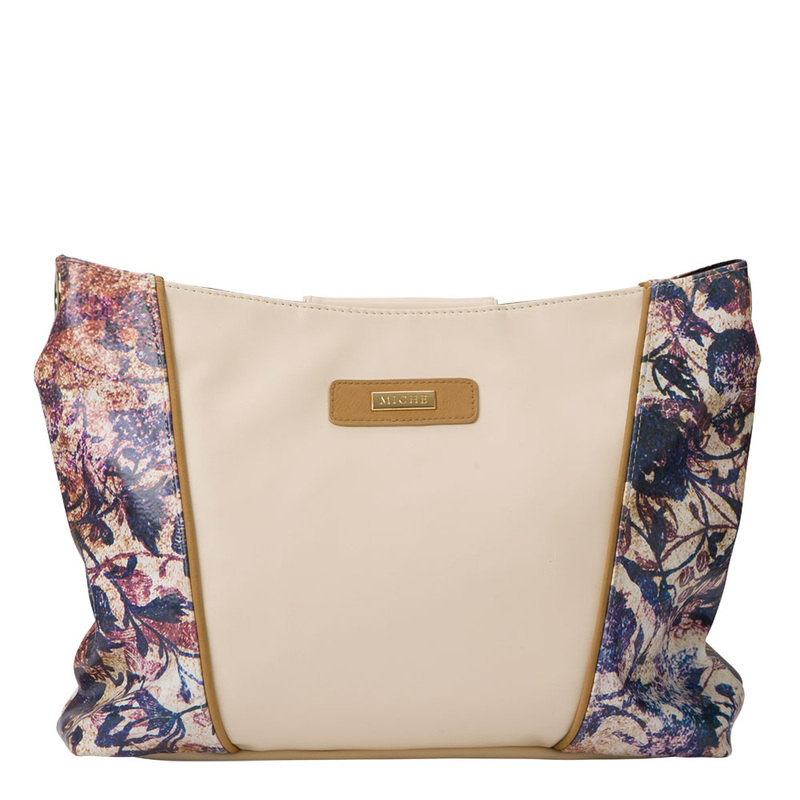 Soft cream faux leather with accents in camel and a custom abstract floral print in purple, blue, sage green and burgundy and gold hardware. 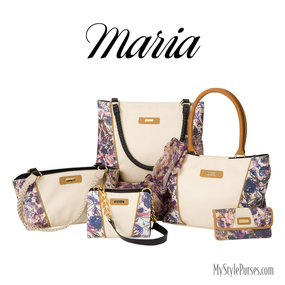 Maria is available in Petite, Classic, Demi and Prima sizes and a matching soft wallet. 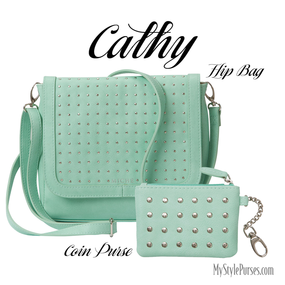 The Cathy Hip and matching coin purse in seafoam green faux leather with rows of tiny silver nail heads on front flap with be your favorite hands-free bag. 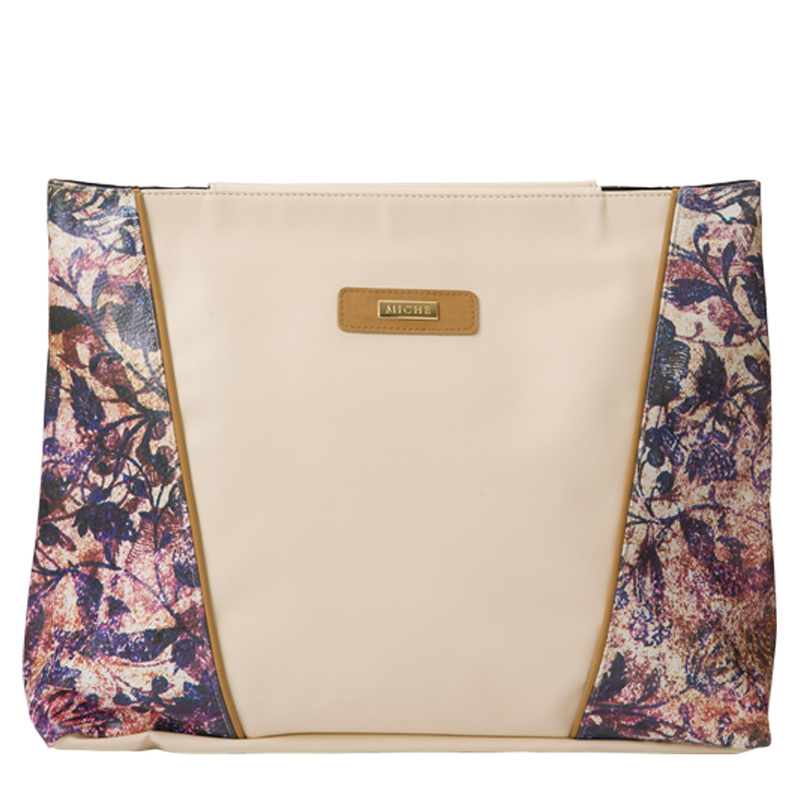 Released late January, the Ruby features marble textured faux leather in shades of berry with silver bar hardware on the sides. 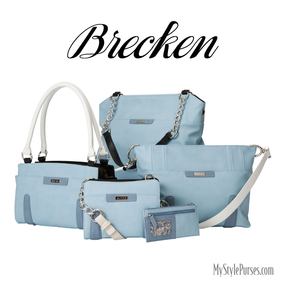 Brecken is available in Classic, Demi, Prima sizes and a clutch. They say true love cannot be described in words, but poets nevertheless keep reaching for it. 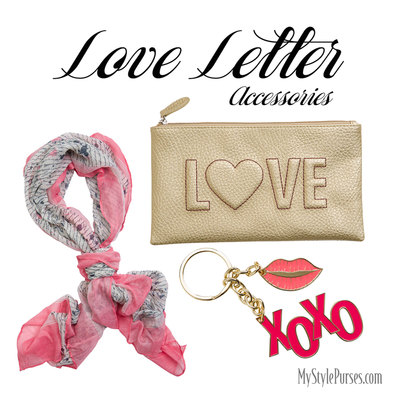 Snippets of classic 19th century love poetry take center stage in our ultra feminine Love Letter Tote and Scarf. 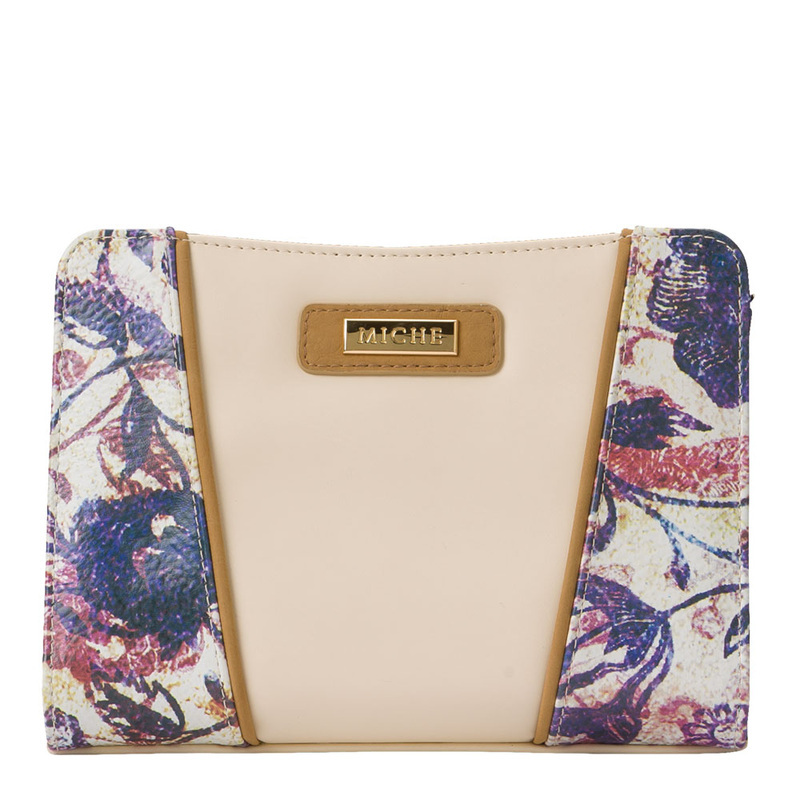 You can also show your romantic side when you carry our new zipper top Clutch and Key Chain, too.